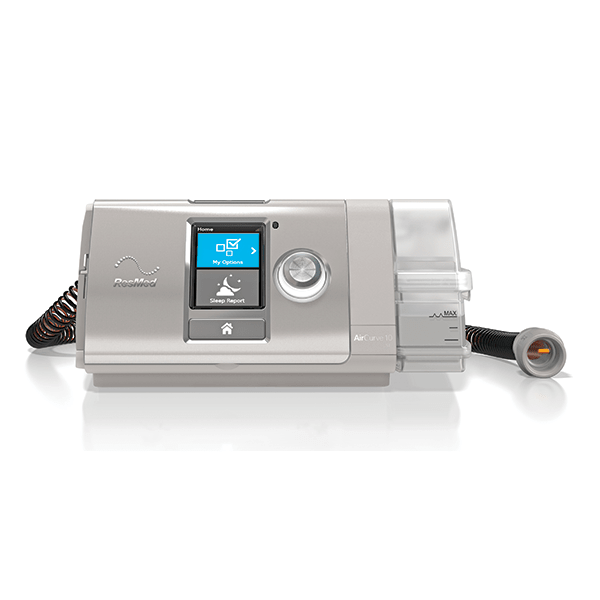 The AirCurve™ 10 VAuto BiLevel Machine with HumidAir™ Heated Humidifier is the next advancement in BiLevel treatment from ResMed. This machine automatically adjusts to deliver one pressure for inhalation, and another for exhalation. The HumidAir™ heated humidifier is built into the AirCurve™ 10 VAuto expanding on the success of the S9™ line. Add the Optional ClimateLineAir™ heated tubing to optimize humidification.